An alarming 61% of youth who identify as gay, lesbian or bisexual have felt depressed in the previous year in contrast to 29% of their peers who identify as straight. These students, who are in grades 7th, 9th, or 11th grade or are in non-traditional programs, felt so sad or hopeless almost every day for two weeks or more that they stopped doing their usual activities. Disparities among youth who experience depression-related feelings vary widely across student groups. Students with particularly high percentages of depression-related feelings include those in non-traditional schools, those with low levels of school connectedness, those whose parents did not graduate from high school, and American Indian/Alaskan Native or Hispanic students. The tables below call attention to disparities among groups of students in California. Use the links to see additional data by county and school district. This data release about emotional health is a part of Kidsdata’s Youth in Schools series. 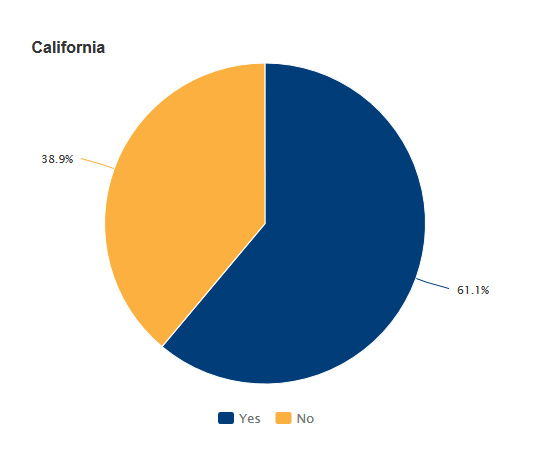 In partnership with WestEd, we are featuring data from the California Department of Education’s California Healthy Kids Survey. The Stanford Center for Youth Mental Health and Wellbeing featured how to overcome cultural barriers to mental health care access at its Adolescent Mental Wellness conference. The Kidsdata team will present on chronic stress and emotional health among California’s youth at the California Mental Health Advocates for Children and Youth Conference. This entry was posted on Wednesday, May 9th, 2018 at 9:57 am. You can follow any responses to this entry through the RSS 2.0 feed. You can leave a response, or trackback from your own site.